A Loudoun County man wanted for questioning in the shooting deaths of three Alexandria residents was denied bond Friday. 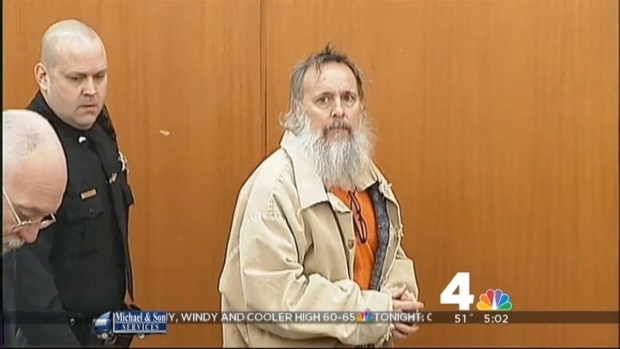 Charles Severance, 53, of Ashburn, will remain in jail as he faces a weapons charge. A prosecutor said Friday that mental health and firearms can be a deadly combination. Alexandria Police have said they think Severance could be linked to three murders spanning more than a decade. 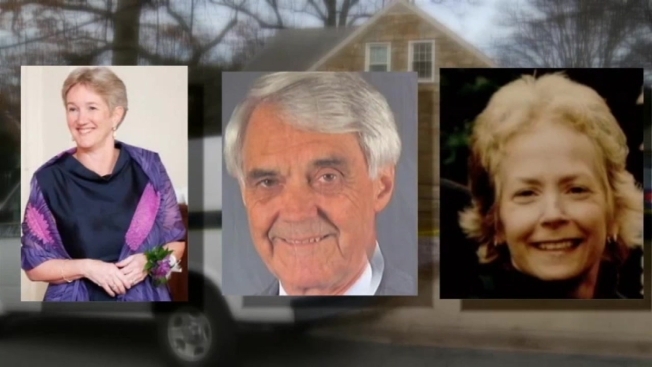 The killings made some residents afraid to open their own doors. 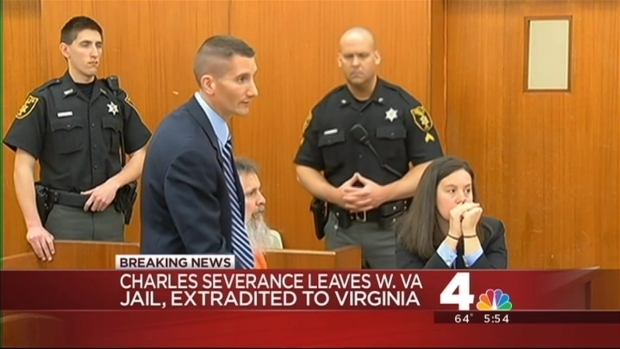 Northern Virginia Bureau reporter David Culver reports on a judge denying a gag order request in the Charles Severance case. Severance has not been charged in those shootings. He was arrested in March in West Virginia on a warrant for a charge of being a felon in possession of a firearm. 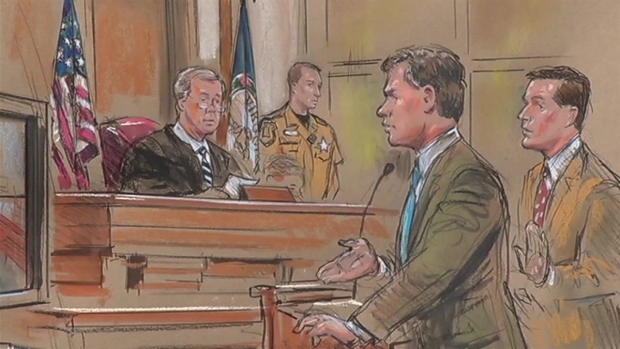 He was extradited to Virginia last month. MORE NEWS: Vaccine Requirements Now Stricter in Md. At a bond hearing Friday, Severance looked much like he did when we was arrested in Wheeling, W.V., wearing an orange jumpsuit and handcuffs. That was more than three months ago. He has remained behind bars the felony gun possession charge. Northern Virginia Bureau Chief Julie Carey reports on the Loudoun County arraignment of Charles Severance on gun charges. Severance watched the proceedings from a live video stream as his defense lawyer, Edward Ungvarsky, said the weapons charge is weak, and was exaggerated so that police could arrest him while they continue to investigate the slayings. Specifically, Ungvarsky said the two handguns in question were owned by Severance's girlfriend with whom he lived in an Ashburn townhouse. He said prosecutors' only evidence that Severance possessed them is that he once cleaned the weapons for her. A criminal complaint said that the woman Severance lived with, Linda Robra, told police she bought two .22 caliber firearms for Severance, a convicted felon, who then he left town with them. 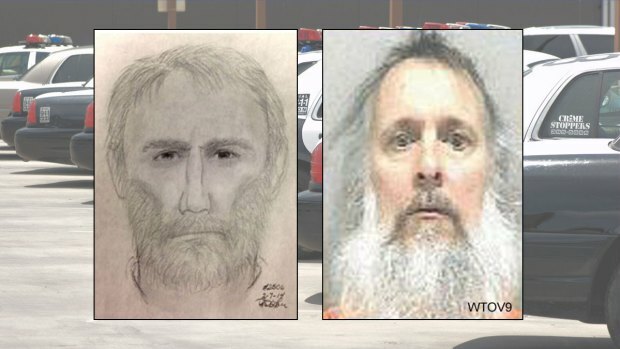 Charles Severance, Man Linked to 3 Alexandria Murders, Extradited from West Va.
A 53-year-old man that has been linked to three unsolved, high-profile murders in Alexandria was extradited from a West Virginia prison Monday afternoon. Ungvarsky denied that claim, telling the judge Friday that those were "...her guns. She owned them. She possessed them." Ungvarsky said in court papers that the allegations against his client are "based upon weak and inaccurate circumstantial evidence" and that Severance's girlfriend was pressured by police to describe the weapons possession in a way that could support an arrest warrant. Ungvarsky told the judge that Severance is eager to defend the felony gun charge, but shouldn't have to do it from a jail cell. He also urged the judge to ignore the speculation swirling around the Alexandria cases, noting that police there have explicitly refused to describe Severance as a suspect. Charles Severance to Appeal Extradition to Loudoun Co.
A person of interest in three murders in Alexandria will remain in West Virginia while he appeals extradition. Northern Virginia Bureau Chief Julie Carey reports. Prosecutor Jim Plowman said Friday that Severance took those guns and left the area after learning an Alexandria police detective wanted to talk with him. He acknowledged that the criminal complaint was imprecise in describing Severance's alleged crime. But he said Severance could still be guilty of illegally possessing firearms even if his girlfriend technically owned the weapons. He also warned that releasing Severance could be a risk, citing in part questions about Severance's mental health. 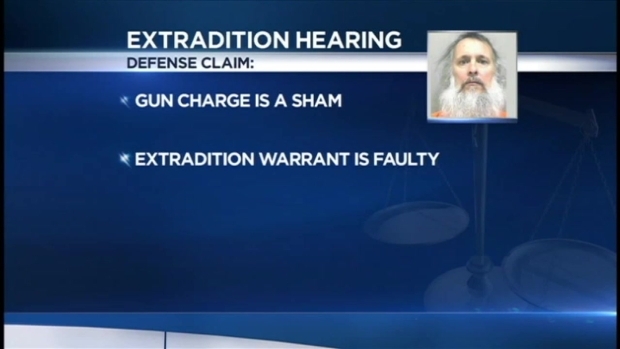 Charles Severance to Be Extradited to Loudoun Co.
An Ohio County, W.Va., judge has ordered Charles Severance to be extradited to Virginia to face a gun charge. "We've seen so often over the last few years, especially in the media, the deadly combination of weapons and unaddressed mental health issues," Plowman said. People who knew Severance when he lived in Alexandria more than a decade ago, when he was a fringe political candidate, have said he acted erratically, and civil court records show that he lost custody of his son in part because he refused to undergo a mental-health examination. Ungvarsky said it was unfair to speculate that Severance has any mental health issues that could lead to violence. Northern Virginia police and prosecutors will be closely watching developments Wednesday in a Wheeling, W.Va., courtroom. "He may be depressed. He was held in West Virginia on a charge that was false," Ungvarsky said. "No one's doing cartwheels in that situation." District Judge J. Frank Buttery said the law presumes that Severance should be held pending trial on this particular weapons charge, and that Severance was unable to overcome the presumption. 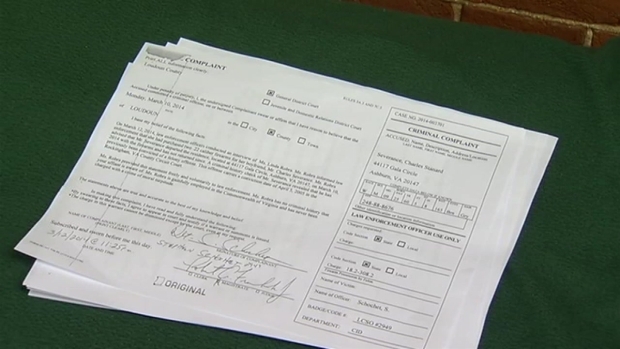 A preliminary hearing on the weapons charge is scheduled for next week. The man who investigators believe could be linked to three high-profile murders in Alexandria, Va., will go before a West Virginia judge Wednesday to determine whether he'll be extradited back to northern Virginia.